Rundum has history tourism potential: YB | Daily Express Online, Sabah, Malaysia. 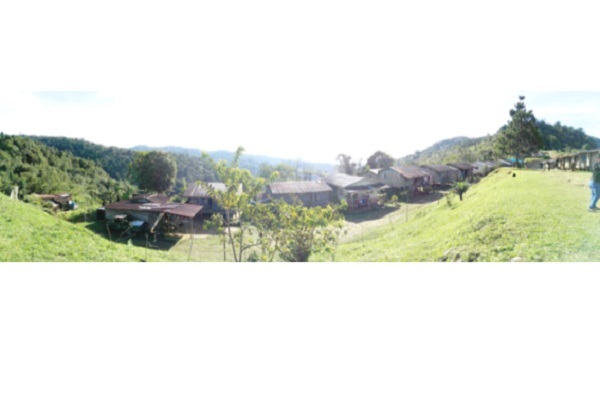 TENOM: Rundum which is located within the Kemabong area is capable of attracting more tourists in view of the historical and surrounding environment that is still green with its cold climate. Kemabong Assemblyman Jamawi Jaafar said the history of the Antenom uprising against the British colonists around 1915 is still fresh in the memory of the Murut community in the district as well as the existence of the first district administration in the Tenom district. In addition, the Rundum village is surrounded by a tropical rainforest that has the potential to be one of the eco-tourism that will attract more tourists from abroad and within the country, “he said while attending the Teo Min Ti and wife family Chinese New Year Open House in Tenom. He said all planning to develop and develop Rundum as a tourist destination is being implemented and it depends on the government’s efforts to build a facility that can make it easier for tourists to visit this place. Jamawi said among the infrastructures that needed better communication systems, roads, electricity supply and health clinics. He also said that Rundum has the potential to be developed as a highland agricultural area as the cool weather and the added beauty of the Rundum river waterfall is sure to attract visitors. According to him, the journey to Kg Rundum Kobis from Kemabong Town takes about 40 minutes after the existing road is upgraded. At the same time, Jamawi also asked the people of Tenom, especially Kemabong to give co-operation and support to the new Sabah government under the Warisan Sabah Party for the continuation of development in this district. “I believe people in the district still need development and hope for a brighter future and the people’s support for the government is very important. Let us together develop our district because politics is over and our time together thinks of our future to go forward, “he said. On Chinese New Year’s celebration, Jamawi said the government’s commitment is to see the well-being of people’s lives in the state through celebrations held and celebrated together irrespective of race, culture and religion.